Japanese Baked Cheesecake are dense yet delicately soft and light. By incorporating plenty of cream cheese, these delectable desserts has velvety smooth, creamy, and fluffy texture all at once making these cheesecakes stand out the crowd. Rich and with just enough sweetness to entertain and satisfy cravings for any sweet tooth. 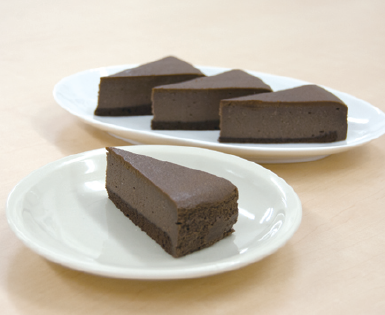 In two different flavors: Uji Matcha (green tea) Baked Cheesecake and the staple, well-loved Chocolate Baked Cheesecake. Both pre-sliced for convenience. Mont Blanc (or Mon-buran in Japanese) is extremely popular in Japan that there are cake shops devoted entirely to variations of this chestnut cream cake. 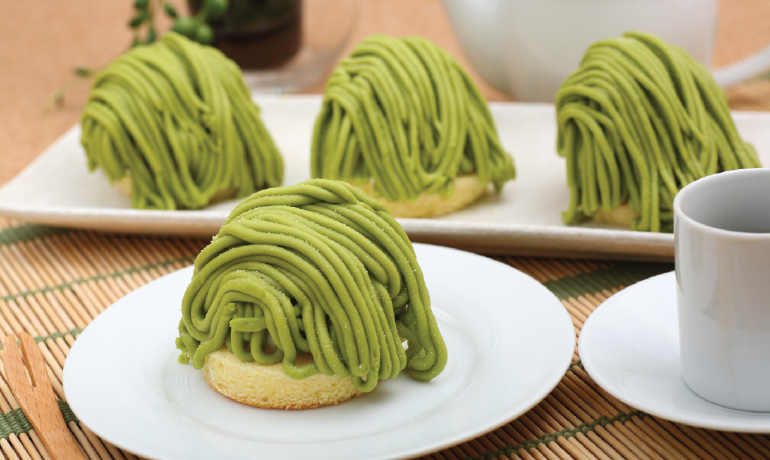 Imported from Japan, this Mont Blanc has a soft layer of sponge cake as base, topped with a pillowy mound of whipped cream with hidden red bean in the center which is all then finished with tall spaghetti-thin strands of green tea cream. 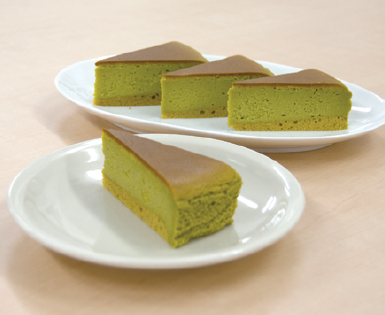 Made with the finest matcha, Uji, from Kyoto, it provides not only a wonderful natural green color but the subtle bitter taste of green tea always provides the perfect contrast to the sweetness of a cake.